Directly upon arrival in Trondheim I had a meeting with the choir “Liv Laga”. 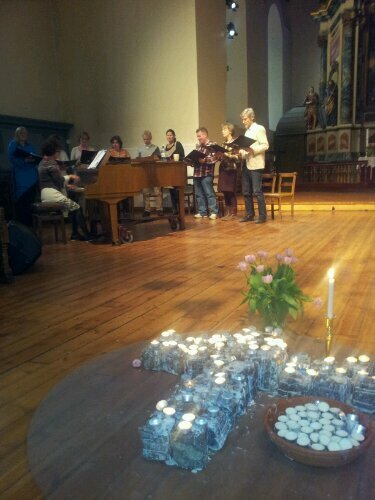 We sang together in “Vår Frue Kirke”, an open church, a home for the homelss in the middle of central Trondheim. They sang walking songs for me and I for them. 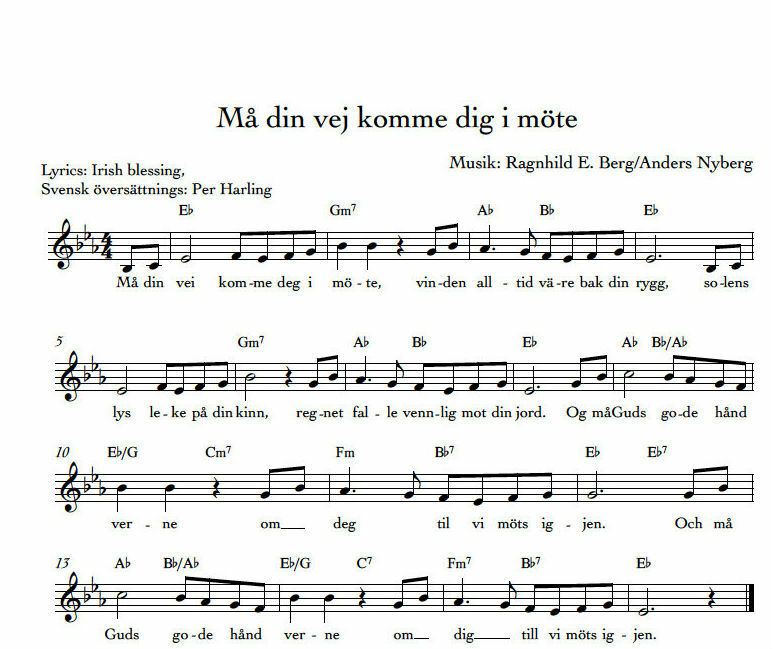 When we tried to sing the Irish blessing “May the Road” we had different versions, so I improvised a bit on the piano and Ragnhild, one of the singers was quick to find her own melody, which has sung within me ever since. Ragnhild and Anders creates something new! Directly after arriving in Trondheim I had a rehearsal with the choir “Liv Laga”. 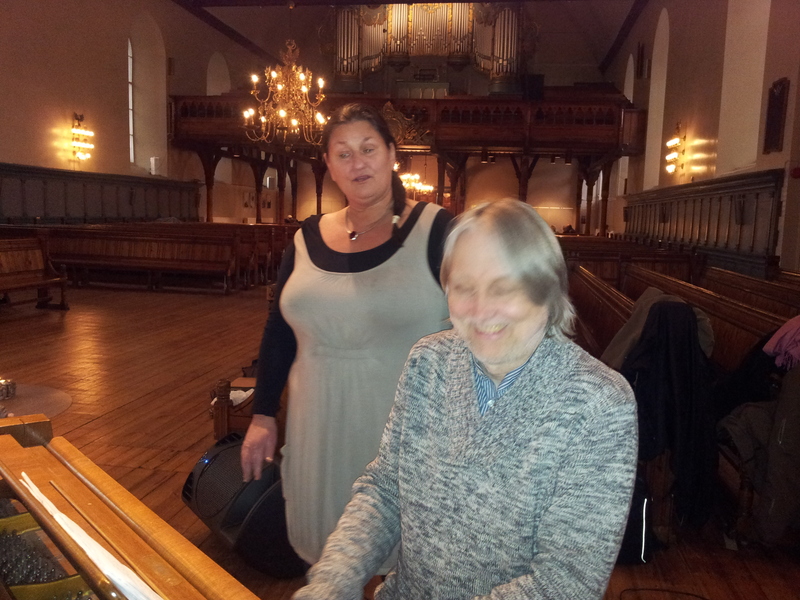 We sang in the Vår Frue Kirke, an open Church for homeless in central Trondheim. The choir sang songs of walking for me and I for them.